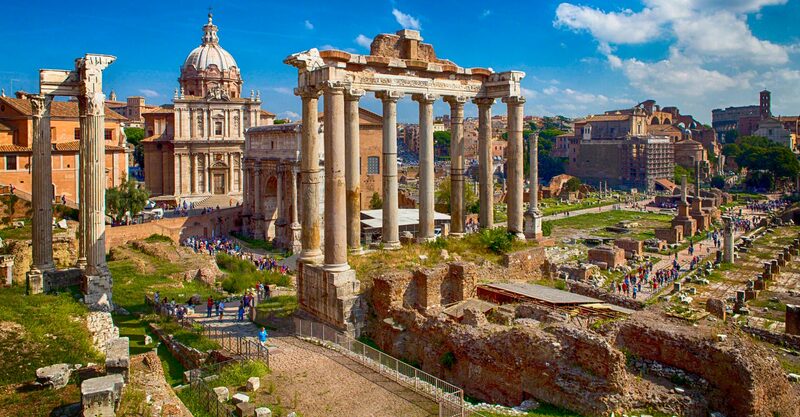 Throughout the course of its two thousand years of history, Rome has accumulated spectacular art treasures and an incomparable archaeological heritage. There are endless archaeological remains, monuments, churches, libraries, museums and cultural institutes worth visiting. One of Rome's most famous ancient landmarks, dating back 2,000 years. Famous for the many cats that live there, as well as its gruesome history. Visit the Forums and Palatine Hill, and see the numerous exhibitions on offer. 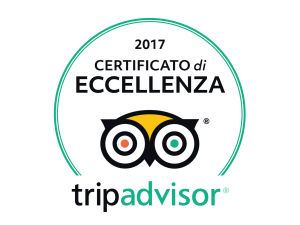 9.00€ including entry to Palatine Hill and the Forums. Discounts available for children (under 6s free). Prices can cost more for featured exhibitions. The official residence of the Pope, and an independent state in its own right. 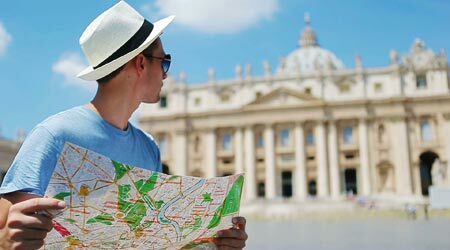 A chance to see the extensive Vatican Museums and the world famous Sistine Chapel. 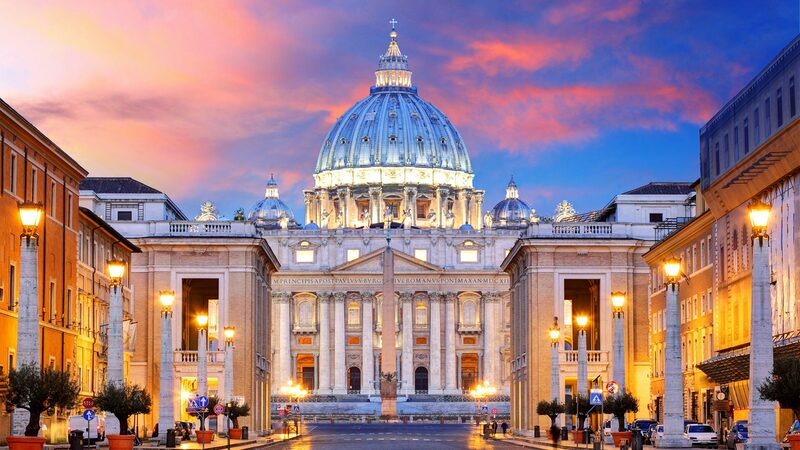 Much more to see and do including Saint Peter's Basilica, which was reportedly built on the burial site of Saint Peter, and the Vatican Grottos. 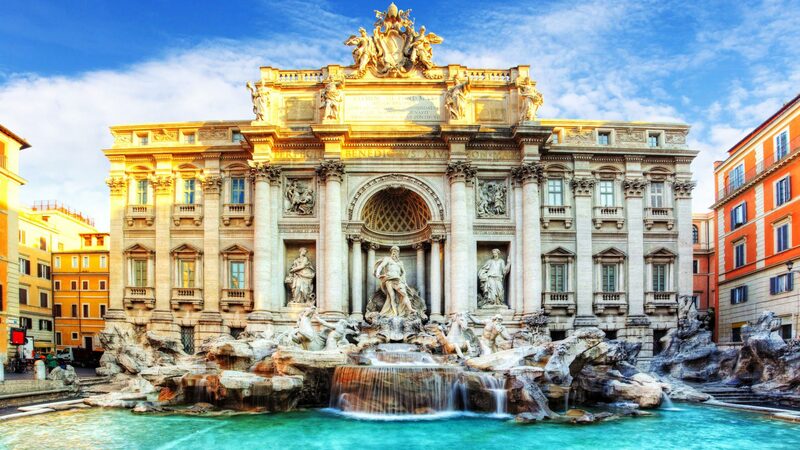 Toss a coin in the Trevi Fountain if you want to make sure you will come back to Rome. 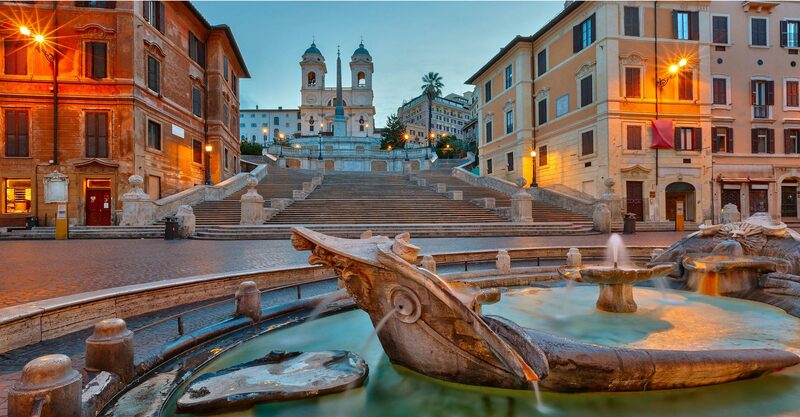 Built in the 18th century and mixing classical and Baroque elements, the biggest of Rome’s fountains is probably the most famous in the world. Another beautiful fountain is that of Piazza Barberini, with its impressive Triton. Take Via del Tritone and reach Italy’s Parliament and the home of the President of the Republic, the Quirinale Palace. The former stables of this ancient palace are today one of Rome’s most appreciated art exhibitions. The refined boutiques of Via del Corso are also nearby. Advance booking recommended as space in gallery is limited. Originally a Roman temple, but is now a catholic church. Steeped in history dating back nearly 2,000 years. One of the world's most well preserved original Roman buildings. Reportedly the burial site of Saint Paul. Second largest church in Rome. Reconstruction of the 4th century Basilica which was destroyed by fire. A rather macabre collection of vaults, where the walls are adorned with whole skeletons and bones of over 4,000 Capuchin monks, with some of the bones used to form Christian symbols. The Catacombs reflect an important part of Rome's history, and contain the bodies of Christians and Popes from the 3rd century. The Catacombs cover 4 levels, and the corridors wind for 12 miles altogether. Galleries open to the public include the crypt of Santa Cecilia, and the Crypt of the Popes. 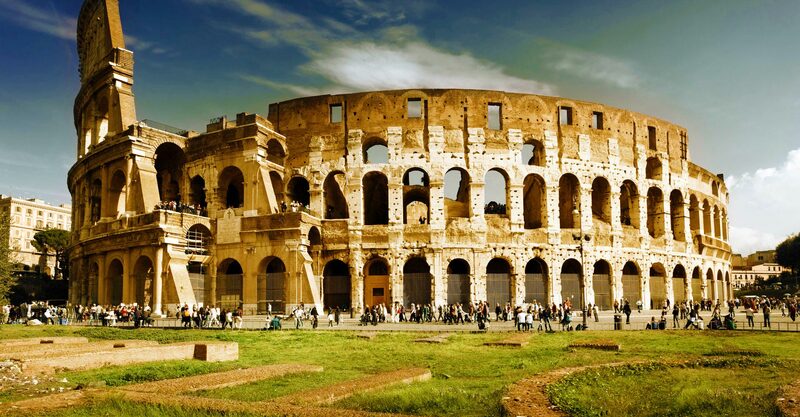 Located between the Palatine and Aventine hills, the Circus Maximus was once ancient Rome's largest stadium. The stadium was famous for its chariot races, and infamously for its repeated tragedies where many spectators died from collapsed stands. Do not visit expecting to see a structure, all that is left now is a grassy area where the central barrier (spina) once was. Rome's nightlife is renowned for its stylish and trendy image, and recently clubs and bars have sprung up in large numbers all over the city, including the historic centre (Centro Storico). Although the main clubbing nights are Friday and Saturday, you will find something to suit your tastes on most nights of the week. It is worth noting that most clubs tend to charge an entrance fee, however this usually includes one drink (with your ticket). The main clubbing area is located around Testaccio, while cheaper nights out can be had in San Lorenzo. Rome has a varied entertainment scene, and can cater for a variety of tastes. From classical music concerts to opera you will be guaranteed to experience true Roman entertainment. The theatre scene in Rome is not as well developed as its operatic and musical counterpart, but there is still a good choice. Remember that plays will be performed in Italian, even those by foreign playwrights. Tickets are normally purchased in advance from the box offices themselves. In summer, theatre, opera, and musical concerts generally move outside to open air venues, all adding to the atmosphere. Ask us for tickets reservation! Home of Rome's theatre company. Tends to show more classical theatre productions. Offers a range of cultural activities, from art exhibitions to cutting edge theatre and concerts. Stages productions from other Italian cities, as well as seeing the occasional appearance from some famous Italian actors. Shows plays by English and Italian speaking writers. Plays range from classical to contemporary and bilingual plays too. Season runs from November to May. Tickets are generally sold far in advance for the opera, and can be in high demand. Smart dress (and even evening attire for first nights) is the done thing when going to the opera. Designed by Renzo Piano, and is one of the largest concert venues in Europe. It hosts a range of concerts including classical, opera, and much more. Is also home of the Accademia Nazionale di Santa Cecilia. Venue has its own orchestra and ballet company. Seating is provided in boxes, and you should arrive at least half an hour before the performance starts. This large church is the venue for many concerts. Offers a range of high standard classical performances, as well as contemporary recitals. Many of the churches in Rome also put on concerts and recitals, mainly orientated around religious music. Estate Romana (June to September) nearly all events in summer transfer to the outdoors, including opera, theatre, dance, clubs, and concerts. On the whole children are made to feel at home in Rome, with child-friendly pizzerias and trattorias, and the locals in general being quite welcoming. However, the city can be difficult to navigate with children, and they may grow bored of the usual historical attractions. Located in the Villa Borghese, Bioparco contains 198 species, including many endangered ones. As well as the zoo, the Villa Borghese is an ideal place (and one of the only green spaces in the city) for the children to run and let off steam. There are also may other fun activities to keep the children occupied in Villa Borghese. Saturdays, Sundays and public holidays from 20th April to 28th September 09:30-19:00. The first Italian children's museum. Contains lots of interactive exhibits aimed and children, schools, and families. Open during the summer, this is Lazio's largest aqua park and is the perfect place to take the children (considering that there is a distinct lack of hotels with swimming pools in Rome). It contains a variety of slides, and one of the biggest wave pools in Europe. Rome is renowned for its vast array of shops, ranging from some of the world's most exclusive boutiques to expansive markets ideal for exploring, and gift shops to pick up your souvenirs. Porta Portese (Via Portuense) Weekly Sunday morning flea market, which sells a vast array of second-hand goods including antiques, clothing, books, and furniture. Market is open from sunrise to 13:30. Mercato di Via Sannio Here you will find a wide range of clothing and shoes, both vintage and second-hand. Open 08:30-13:30 Monday to Saturday. Mercato della Stampo (Largo della Fontanella di Borghese) A collector's paradise if you know what you are looking for. You will find here a myriad of old prints, magazines, and books (ranging from the very old to the nearly new). Campo de' Fiori (Piazza Campo de' Fiori) Food market which has been held for centuries. Contains a wide selection of meats, vegetables, and other exciting foods. Perfect if you want to sample some local produce or pick up a snack, but a great visual display anyway. Via Condotti Contains the first fashion house of Valentino and the famous Italian jewellery designer Bulgari, as well as Cartier and Hermes. Via Borgognona Contains Fendi, the famous handbag and leather specialist. Via Frattina Here you will find the houses of Tiffany, the famous New York jewellery specialist, and Versace. Via Santa Dorotea for vases and ceramics. Via Margutta, Via dei Coronari for antiques. Via del Pellegrino, Via dei Cappellari for art and craft shops with a very bohemian feel.